Can-less design that provides better airflow, enabling LED lamps to run cooler and prolong life. Compact design for shallow ceiling void. 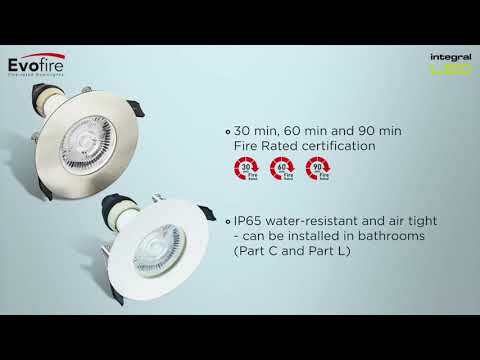 Integral LED Evofire IP65 Fire Rated Downlight Polished Chrome is rated 4.9 out of 5 by 8. Rated 5 out of 5 by Kris1962 from Brilliant and easy to fit Bought this to replace older kitchen lighting with transformers. Less clutter in ceiling space and easy to fit. 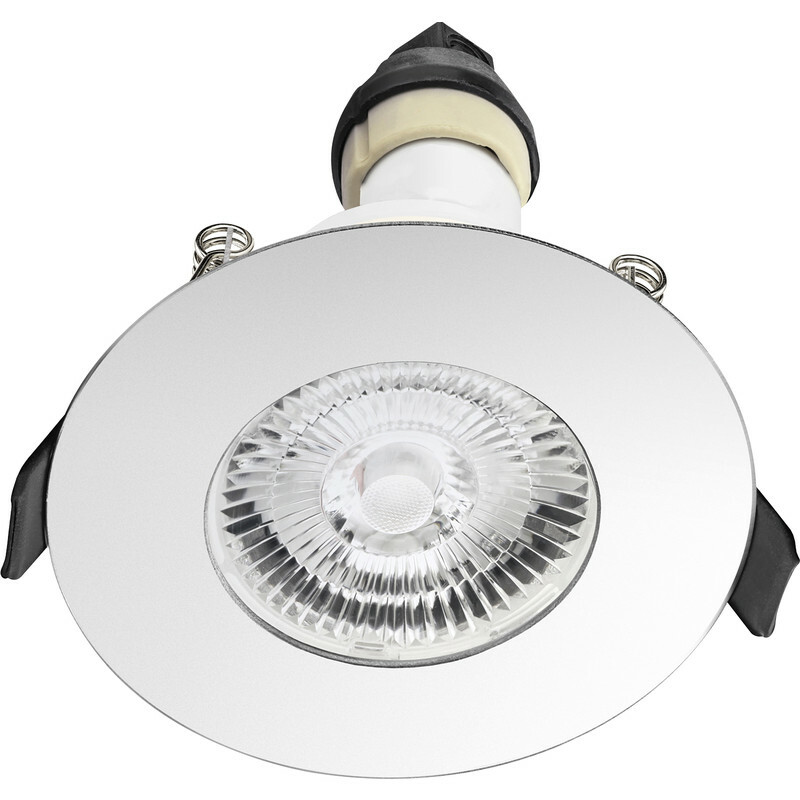 Rated 4 out of 5 by Squashbear from Great lights Overall these are great. The only downside is the price. Rated 5 out of 5 by joetheelectrician from great downlights I have used over 100 of these since they came out, great downlights, easy to install and saves a lot of time with piano connectors, well done. Rated 5 out of 5 by rowanjt from Great fitting Well-designed product. Installs very nicely, comes with piano-key easy fit connectors and junction box. Sits very low profile on the ceiling, with white metal finish. Very happy with this will be ordering more! Rated 5 out of 5 by pdl130l from Great looking light! Easy to fit, nice wide bezel that covers so hole really well...especially (if like me) you manage to knock some of the plaster off getting the old downlights out! 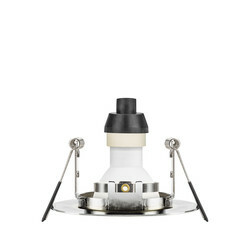 Purchased three of these for a bathroom that originally only had two lights. Replaced the two first and put cool white bulbs in and plenty of light coverage so no need for a third one saving me more work! These look great when fitted and certainly don't look as cheap as they are!